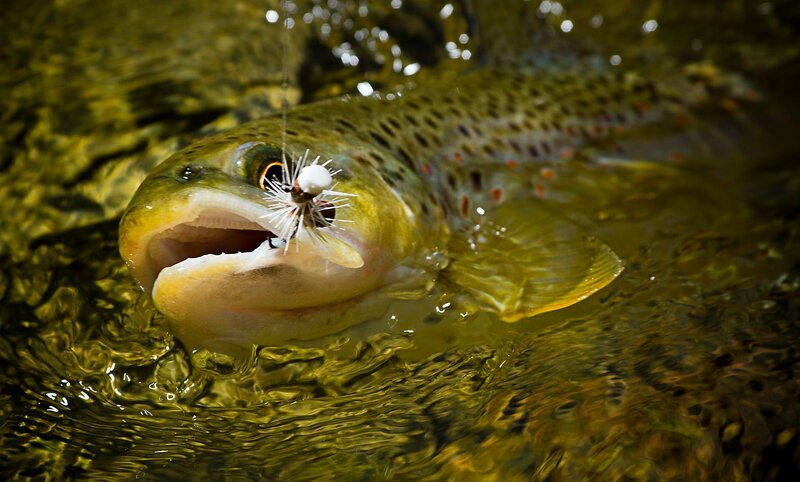 Fly fishing photography is an art within an art. From brightly colored fish to grand landscapes of rivers and lakes, there’s always something amazing presenting itself to you. Here a small stream brown trout is brought in to be released that was caught on a dry fly during the summer.